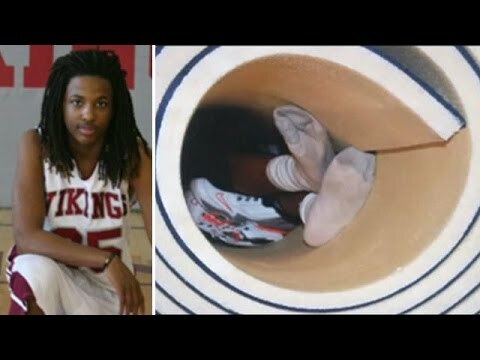 NewsOne is reporting the parents of Kendrick Johnson, a teenager whose dead body was found rolled up in a gym mat at his Lowndes High School on January 11, 2013, have been ordered by Judge Richard Porter to pay the attorney fees of city and county officials named in a dropped lawsuit that had claimed dozens of defendants were complicit in the teen’s 2013 death. The defendants included Lowndes County Sheriff’s Office, Lowndes County Schools, the City of Valdosta, the Bell family, and Owens Transport, but it was dropped in early March of 2016. The Johnsons allege that classmates Branden and Brian Bell killed Johnson, and then conspired with their father Richard Bell, an FBI agent, and other authorities to cover up the murder. Judge Porter has not set the amount that the Johnsons must repay but they are now facing a $900,000 bill. 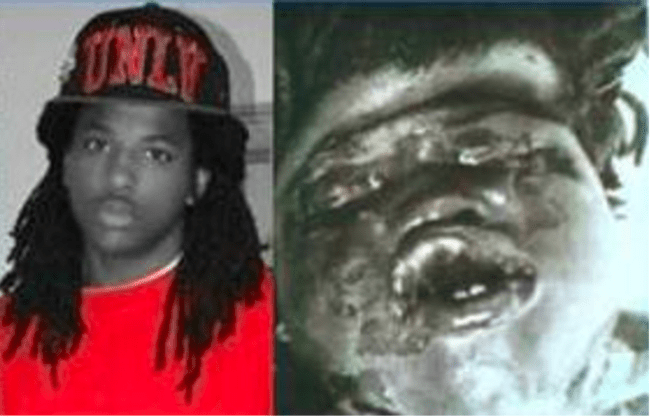 Photo of Kendrick Johnson before and after his death. After a three year probe, in June 2016, the Department of Justice announced there would be no charges filed in the death of Kendrick Johnson, citing insufficient evidence. “We will not let them silence us about our son’s murder…There is nothing they can do to stop us from pursuing this case. We’re going to take this case all the way through, no matter how many distractions they throw at us, or whatever they try to throw at us. The Johnson’s have filed a new wrongful death lawsuit in federal court.